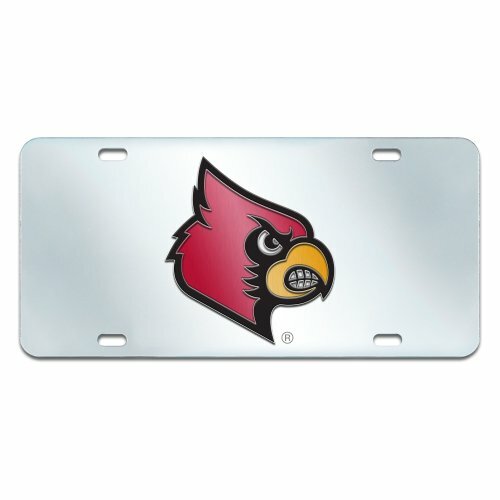 FANMATS University of Louisville License Plate - Mirror Style is made of a high quality, durable acrylic with an inlaid logo. Let everyone see the face of your favorite team with this bright mirror style license plate. Four pre-drilled holes allows for being user-friendly, easy installation. The license plate measures approximately 12 inches by 6 inches. The ultimate display of your time pride, it pairs perfectly with the team logo license plate frames. Customize your ride and announce your team spirit with pride.